Remove DRM from iTunes M4V Purchases Videos. 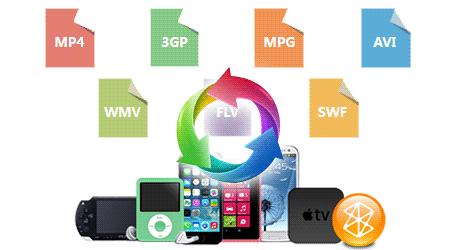 Convert M4V movies to MP4, MOV, AVI, 3GP, FLV, etc. Sync M4V Videos to Apple & Android devices, HD players, etc. #2: Get Plus Version to Convert both iTunes Purchases & Rentals. 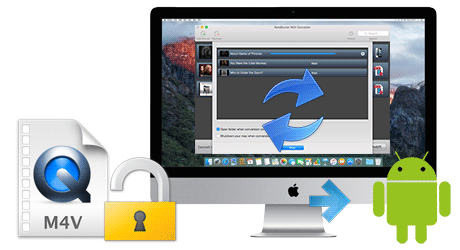 #3: To convert both iTunes video & audio, you can find iTunes DRM Removal Suite. Note: NoteBurner M4V Converter is for personal use only. NoteBurner M4V Converter for Mac is special designed for Mac users (macOS Sierra 10.12.1 is perfectly supported) to remove DRM from purchased iTunes M4V movies and TV shows. It takes an advanced encoding technology to convert the DRM protected M4V files to other formats. Compatible with the latest version of iTunes 12.5 perfectly. Running macOS Sierra 10.12.2 or later? Please try Plus version. 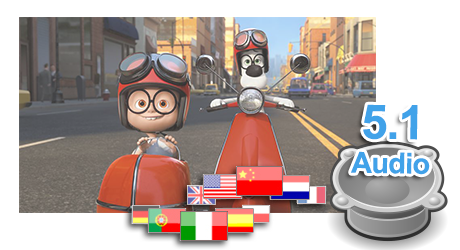 Keep AD & 5.1 Audio & Multilingual Subtitles. Perserve AC3 Dolby 5.1 audio - when choosing " Same as Source for MP4" or " Same as Source for MOV" as output, it will be perfect to play DRM-free iTunes videos with 5.1 audio on TV. Keep Multilingual subtitles including CC. Save AD track (audio descriptions) that narrates or describes the visual content of the iTunes videos. If you want to convert M4V to unprotected MP4 on Mac OS, NoteBurner M4V Converter for Mac is the best solution. 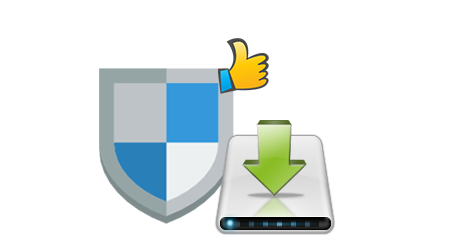 This removal tool can easily remove DRM protected M4V videos on Mac and convert these files to common video formats including MP4, AVI, MPG, 3GP and FLV, etc. With this Mac M4V Converter, you can convert DRM M4V to MP4, MPG for PSP, PS3 and Walkman, to AVI for Creative Zen, Xbox 360, and strip M4V to MP4 playable on cell phones including Nokia, BlackBerry and Google Android. The latest iPhone 7/7 Plus, iPhone 6S/6S Plus, iPhone SE, Samsung Galaxy S7/S7 Edge, LG G5 and more are also supported. 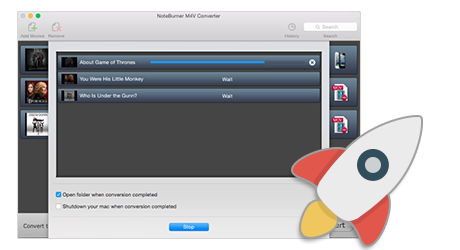 NoteBurner M4V Converter for Mac is the fastest M4V DRM removal tool that can directly bypass DRM from protected iTunes purchases at a 20X faster speed on Mac. It's basically a drag and drop operation for adding files letting users manually add as many files as you want. With a clean and clear interface, you can enjoy converting all you favorite videos to stream on any devices or players anywhere and anytime. Once you order our program, you can enjoy all the regular upgrades and updates for free. Beside, Our friendly Support Team is available to help you 24 hours a day, seven days a week. How can I activate or register purchased programs with my license? How can I get 20X faster speed and lossless output quality? Can I get free license?